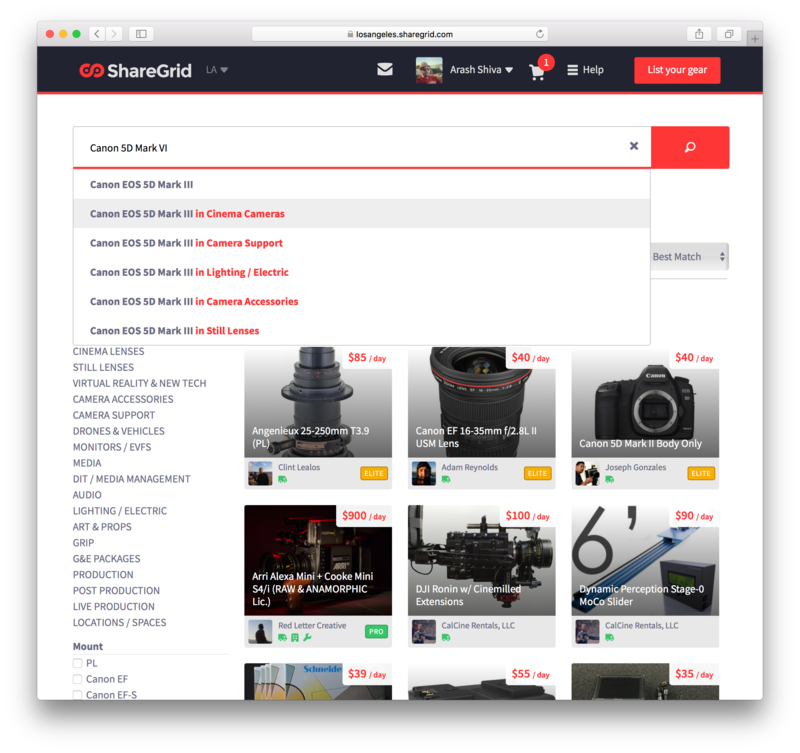 ‍The new ShareGrid auto-complete search makes finding gear a snap. The first new feature you may have noticed is the new Instant Search Auto-Complete. Our new auto-complete indexes for keywords across the vast selection of community inventory and helps you hone your search down to the exact model. 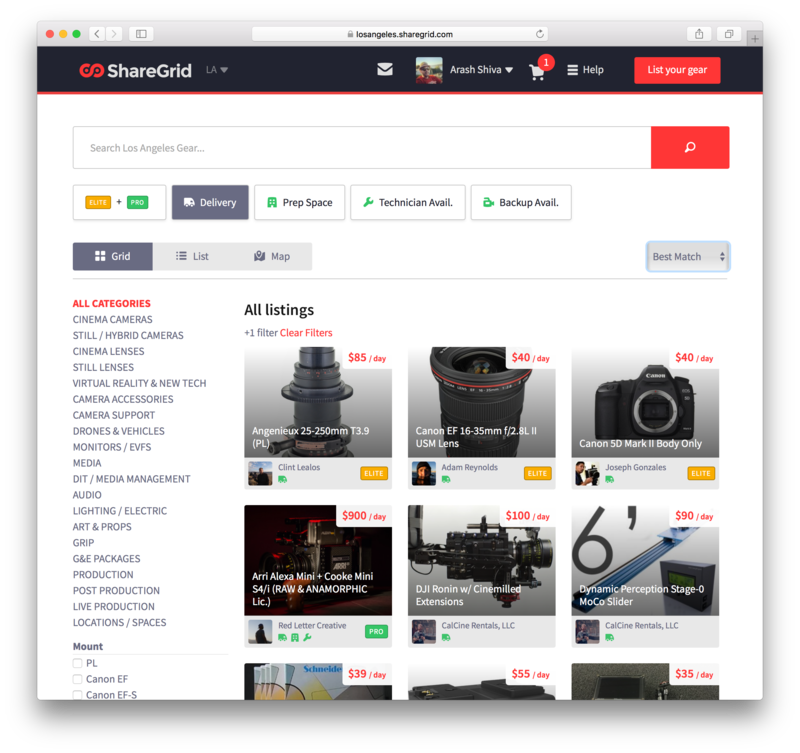 You can use the auto-complete to not only find your next piece of gear, but also search the ShareGrid member database and find your favorite vendor quickly. Pro Tip: Make sure that all your listings have been associated with a product (via the auto-complete on the edit listing page) so that it shows up when people search for specific models of gear. The new Instant Profile Search feature. Also in the search realm, we have added an often requested feature by our elite vendors: Instant Profile Search. This awesome feature makes it easy to search the inventory of professional vendors that have a large catalog of gear. We will be adding a new improvement to make it easy to highlight your best listings on this profile page soon as well. You can now filter listings by guaranteed vendor service: Delivery, Prep Space, Technician On-site, and/or Backup gear. Last but not least, the ShareGrid team is pleased to release Vendor Services, a new way to find a new class of vendor on ShareGrid. 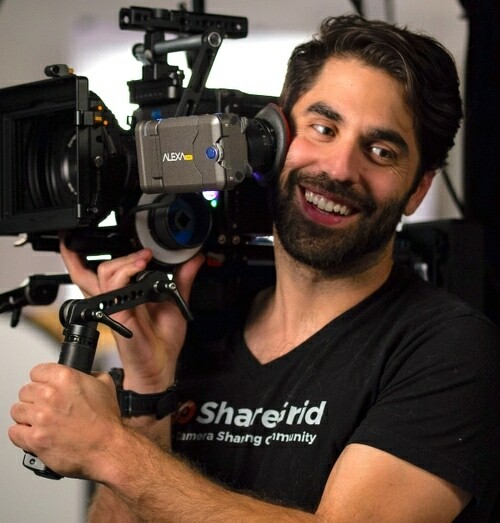 From the beginning, ShareGrid has been powered by individuals that wanted an easy way to make their investment in creative gear pay-off, and also to help other creatives to fulfill their vision without the costs associated with traditional production gear rental. Elite + Pro - Rent with peace of mind from our veteran Elite and Pro members. Delivery - Save yourself the trip and get your rentals delivered to you from the vendor for a small fee or even FREE for rentals over $1000. Prep Space - Book a rental with a vendor that offers a designated space designed for prepping your equipment. 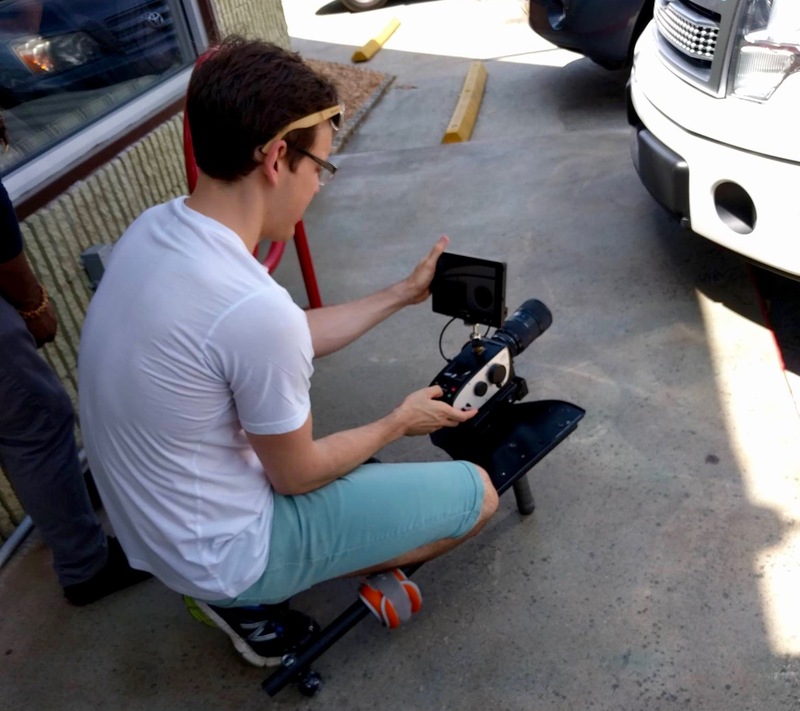 Technician Available - Find a vendor who provides designated technical support from a staff member during your prep and pickup. 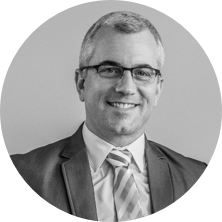 Backup Available - In the rare event the rented gear becomes inoperable, give yourself peace of mind with the guarantee that this vendor can provide a replacement ASAP. 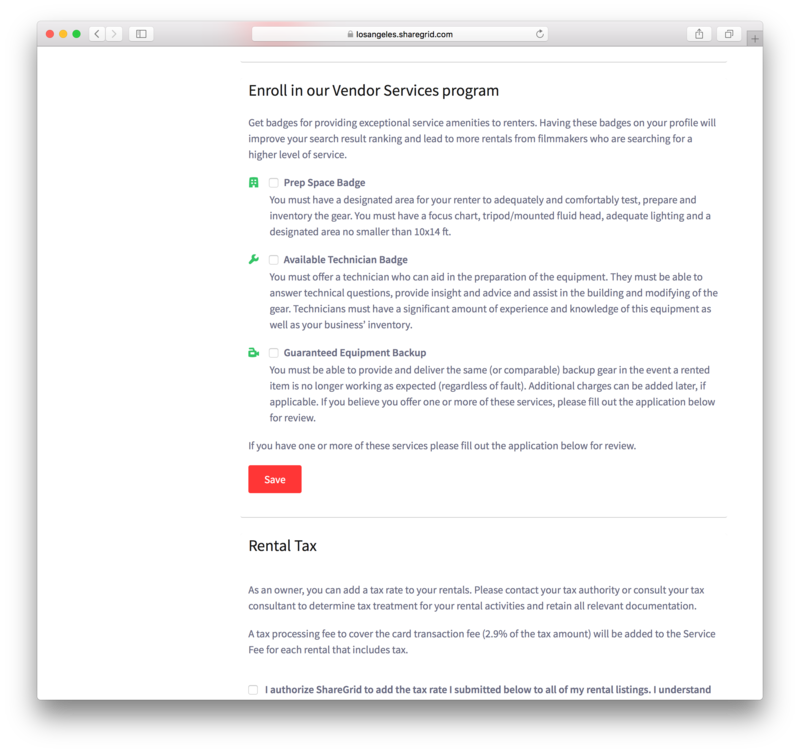 The Vendor Services filters allow professional renters with demanding production needs to quickly find the right type of rental experience at the right price. 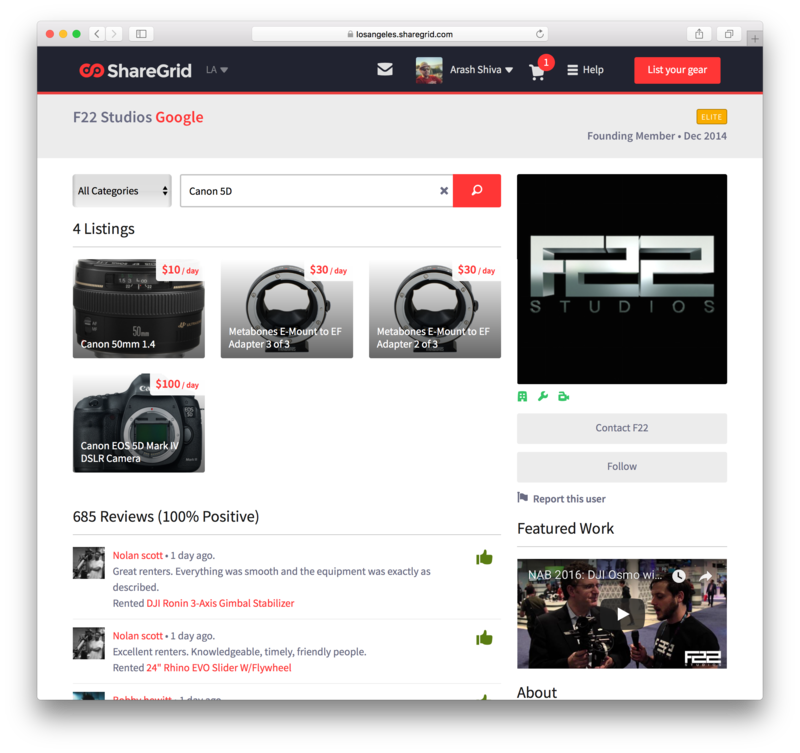 All vendors that provide one of our premium services have been pre-screened by ShareGrid staff to ensure that their facilities meet the needs of the most crucial productions. Vendors range for Pro and Elite members all the way up to established rental house names you may be familiar with. Since ShareGrid is about leveling the playing field in professional creative production, any member can apply to qualify for Vendor Services badges to show up on their profile and listings, as long as a level of quality service is verified and guaranteed. Simply visit your settings page to apply for certification in ShareGrid Vendor Services. The ShareGrid product team is hard at work on some more new exciting features be released early next year. Stay tuned! Do you have any feedback on the new features? Feel free to let us know, we love hearing from our members! Do you know a talented developer? 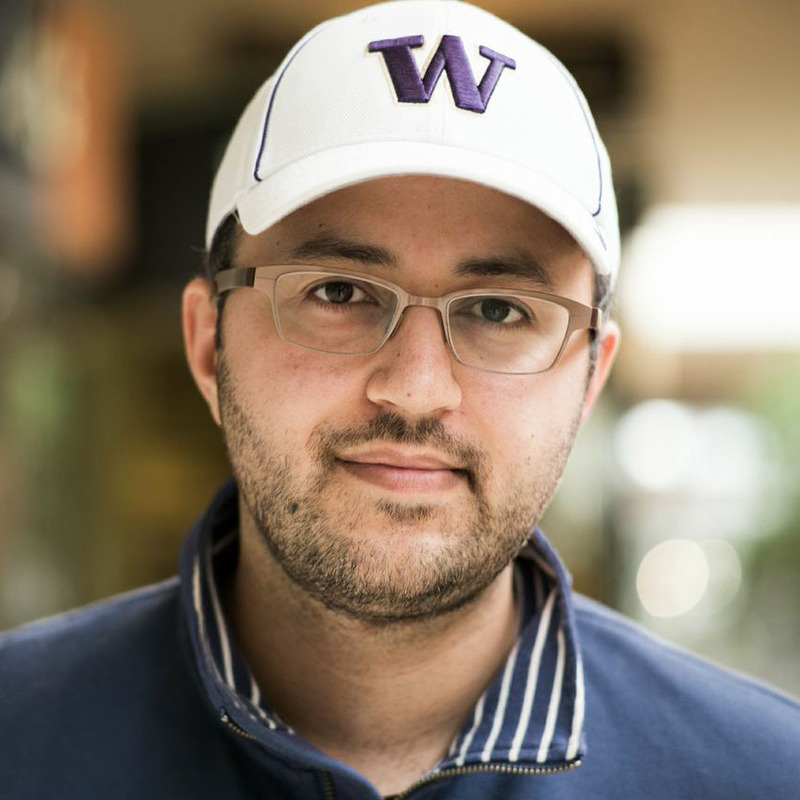 We are expanding the ShareGrid development team with three new engineering positions open now to build the next generation of the ShareGrid platform.